Every semester as classes start, college campuses are furiously preparing for their students’ return. Move-in weekend is just around the corner, and administrators tend to be as excited about the new and returning students as they are nervous about actually facilitating success. On average, almost 2 million students drop out of college every year. According to the U.S. Department of Education, only 59% of students who start a college career actually graduate within six years. That’s not a great basis for success. But here’s the good news: it’s far from set in stone. In fact, comprehensive retention initiatives in recent years have shown just how much impact each higher education institution has on helping college students succeed. You know what many of these initiatives look like. Career exploration centers, peer mentoring programs, and extracurricular offerings have all proven to be effective in helping college students stay on track for graduation and their career beyond. But that’s not all you can do. 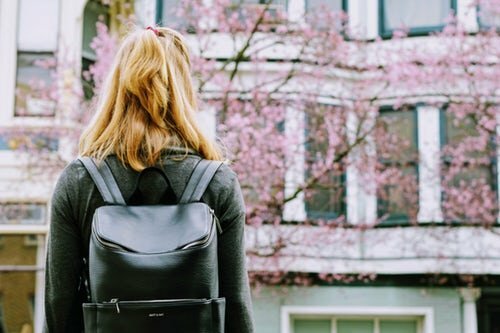 In fact, here are 5 ways you can set your incoming and continuing students up for success before classes even start. The first day of class tends to be a scramble for your students. With brand new textbooks in hand, they learn the syllabus for up to 4 classes in a single day and immediately get loaded with homework to kick the semester off with a bang. Is it a wonder that many fail to start on the right track, and immediately enter a downward spiral? 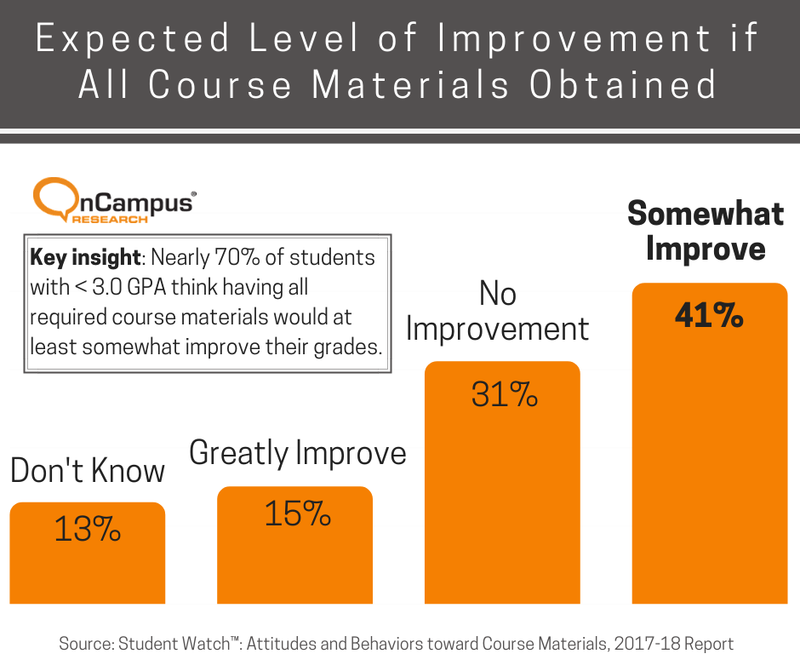 According to one survey, 70% of students believe that they would have better grades if they had early access to important course materials. A second study backs that up, especially among students with a GPA less than 3.0. And they’re not wrong in that belief. 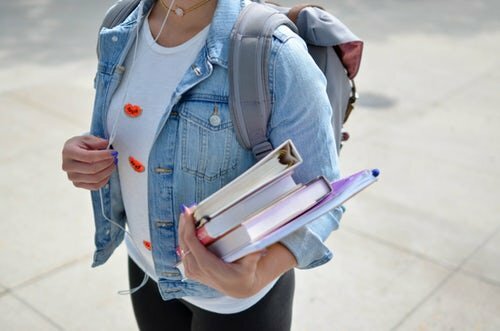 In fact, a study by the American Journal of Physics found that college students who read before their first class show a significant improvement in their learning abilities throughout the semester. That’s why early and fast access to course materials should be among your major agenda items before classes start. Ask your professors to make the syllabus easily accessible for all of their students, and allow for early textbook purchases. To account for a potential lack of funds, allow your students to use financial aid for these types of purchases so they don’t have to pay it out-of-pocket. For advanced classes that require quick adoption once the semester starts, you can even build optional assignments that aren’t due until classes are underway but can be started early to improve on time management requirements. Similar to the above, access to faculty advisers should be quick and easy for all new and returning students. Don’t wait for your advisers to make appointments mid-semester to discuss the scheduling for the following term. Instead, help students find the contact information and understand the best ways to reach out to their advisers the moment (and even before) they step on campus for the next academic year. High faculty-student contact outside of classes is inextricably linked to student success. The adviser is the most natural contact person to whom college students can reach out. From the very start, they can provide helpful tips that go beyond scheduling classes for the student’s major or minor. In addition, they can provide study tips, connect new students with some of their more experienced advisees, and more. Taking this step requires significant faculty buy-in. The contact might happen before the start of the semester, and some professors may be hesitant to respond. For public and unionized universities, faculty contracts may not actually allow this type of contact during a non-teaching semester. But even then, it makes sense to take this step. Find an academic point person for students willing and ready to have that contact, whether it’s an administrator in academic affairs or a department chair with a full-year contract. Academic support undoubtedly matters in student success, but it’s far from the only factor. In addition, you also have to make sure that especially new students immediately find themselves at home at the university. Fail to do so, and they’ll become much more likely to disengage from school and social life. And again, that type of engagement requires an early start. Put simply, you have to make sure that from the moment they first arrive or come back to campus, they have things to do to keep them occupied, meet up with old friends and find new ones, and develop expectations for what their social life will be. Countless colleges and universities already take on some of these events for new freshmen. It never hurts to expand them. Opportunities to not just engage with each other but also with older students can include scavenger hunts, athletic competitions, movie nights, and more. In fact, extending these activities to your returning students doesn’t just connect them to freshmen, but integrates them back into the community and prepares them for ongoing success throughout the academic year in their own right. Never underestimate the impact that parents make in the success of their students. Studies consistently show that retention rates, a core determinant of student success, rise for college students with more engaged parents. To some degree, whether or not a student has engaged parents is out of the university’s control. But you can make an impact through strategic communication. For example, imagine the difference you can make if you help parents become more financially literate in their children’s college experience. The chances of filing the FAFSA on time, paying outstanding bills, and applying for financial aid can rise drastically. Don’t assume that incoming and returning college students share everything with their parents. Instead, build a communication plan designed for this audience. That communication plan might consist of emails and letters that address the typical pain points parents experience. A parent orientation or other type of pre-college event can make significant inroads in building engagement. Most importantly, start engaging parents before their students actually start their classes to build a solid foundation for future success. Finally, it bears repeating: much of student success depends on a lack of not just distractions, but stress factors. And of course, it’s difficult to deny that financial information is one of the major stress factors for both students and their families. Before they take their first class, take special care to help them streamline their financial aid process. That means building additional communications, contact points, and even orientation workshops designed around the topic. Position your Financial Aid office as knowledgeable experts who will always remain valuable resources. But you can also go further than that. Basic financial literacy education that precedes the academic year can help to ensure that by the time classes are in full swing, monetary worries take a backseat to an excellent education and a drive to success. In the effort to attract enough students and the rush to get campus ready, it’s easy to forget that in reality, student success is the core goal of higher education institutions today. That success doesn’t start with the first day of class. Instead, it begins much earlier, from the moment young adults step on campus to become your students. Preparing them for success means early access to course materials. It also means academic, social, and financial preparation for both students and their parents. But most importantly, it requires an institutional commitment designed to help students feel integrated and supported from the beginning. Achieve that goal, and your students will succeed as your retention rates soar. Contact us about how FA~Link can help.